I have not counted the names of our Alumni who have fallen in battle. I have not counted the wars in which they fought. It seems disrespectful to reduce the Remembrance Day Honour Roll to a number, to a comparative and relative value. What can a person offer that has greater value than their own life? During our ceremony on campus, I struggled to read the names on our Honour Roll. Half of my brain is working on pronouncing the names clearly and correctly, while the other half is intensely aware of and distracted by the emotion attached to the name of each soldier who has perished. 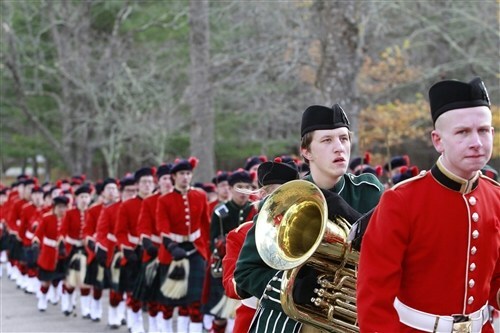 And so it was with tremendous pride on Sunday when, after spending many hours in the bitterly cold winds that blew, our students honoured those soldiers’ memories with one last and unscripted action. After RSM Sophie Fraser dismissed the Corps, not a single student ran off to seek warmth and shelter. 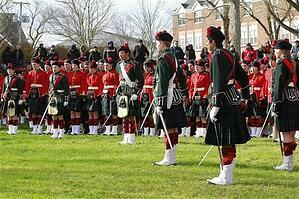 Instead, the 254 King’s-Edgehill School Cadet Corps crowded forward to place their poppies at the cenotaph. It was a remarkable and heartwarming moment. Parents stood waiting, cameras at the ready, while their children took a moment to remember those who had fallen. Blue lips, blotchy knees, and frozen fingers forgotten, students of all ages and all nations paid respectful tribute. So much has been said in recent years about the softness and egocentricity of this generation. This week I marvelled at our children’s grit and their empathetic appreciation of the moment. Well done, everyone.